Lenovo G50-30 is the best choice if you are a student and you have a budget of 20,000 Rs. 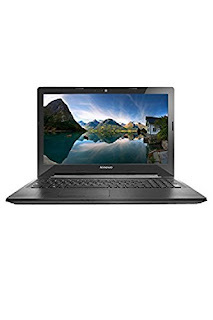 The market price for Lenovo G50-30 80G001VNIN is 24,999 Rs but in the special discount offer you will save more than 5000 Rs and it will cost you around 19,190 Rs Lenovo G50-30 comes with 4 GB RAM, 500 GB Hard Disk, Intel Pentium Quad Core and 15.6 inches LED Display. Don't forget to read the customer reviews on product page, mostly people gave it 5 star reviews with good feedback. So, it's a must buy laptop for people who have under 20,000 Rs budget. For more Breath-taking discount deals and offers, stay connected with all india coupons.